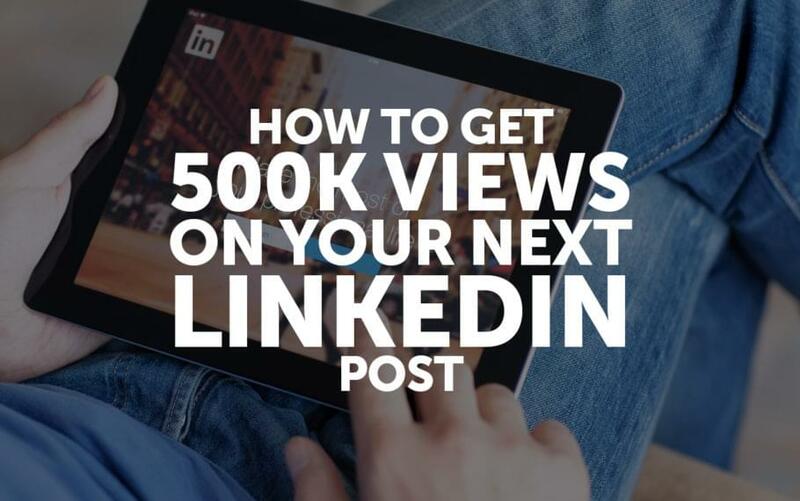 Want a super easy way to get a ton of views on a LinkedIn post? Tell your story. I normally get a few hundred views on anything I post on LinkedIn. But then I posted this little story about how my agency opened an office in Hong Kong. It’s up to almost 40,000 views and has generated leads for my marketing agency MWI. Last week, I met with my friend Scott Stiles who runs the FAIR Employment Agency in Hong Kong and on the way out the door, happened to mention my minor success on LinkedIn to him (it was just a little comment, I don’t even remember making it). He went and wrote his story on LinkedIn the other day and that post quickly popped up to 18,000 views. But it doesn’t stop there. Mareo McCracken’s story has attracted 232,000 views. When Richie Norton copied and pasted what he wrote on Facebook about his son getting hit by a car and almost dying, the story attracted over 500,000 views on LinkedIn. Think that’s crazy? How about 1.8 million? That’s the number of views Dave Schools got on his LinkedIn post where he told the story of quitting his job and living a nomad’s life. I guess I should have made an even more outrageous claim in the headline to describe this post. Or how about Josh Fechtner sharing tips on how he generated 25 million views on LinkedIn within a 4 month period by telling stories about his entrepreneurial challenges? Notice a pattern? People love stories. If you want to drive business results that grow your business and career then posting personal stories with no connection to your professional life won’t do it. They may attract views and attention, but the audience won’t have the intent that translates into business. My post about my marketing agency’s best year in Hong Kong attracted a different kind of attention, likewise Scott’s post about his employment agency for domestic workers. Try it out. Post your business or professional story on LinkedIn, give it a day or two, then go to this LinkedIn post and tell me and my audience how many views it got and how that compares to the views you normally get, and if you get any business or professional benefit from it.